OK – so it was supposed to be Spinning Sundays, but time got away from me. Right then. 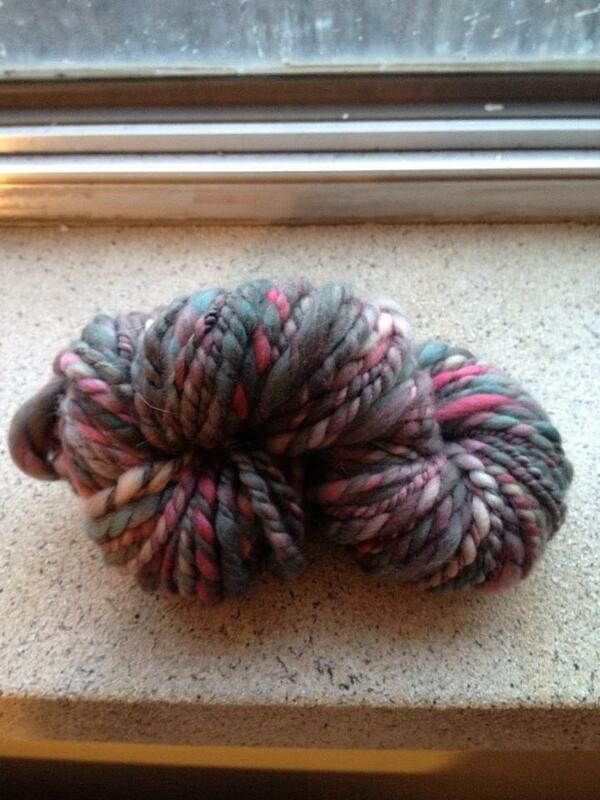 So I am struggling with a fibre artist’s dilemma these days, especially on weekends…knit or spin. It seems to be coming to spinning on Saturdays and knitting on Sundays. Not sure how or why; it just seems to be happening that way for the time being. I got some knitting in, but threw a random 2 oz/54 g braid of pink and grey fibre onto my wheel and by end of day Saturday, this is what I had. We think that one was merino – it is remarkably soft. I decided that perhaps it was time to spin something I can actually identify. So now, I am spinning up two 35 gram orange-y HilltopCloud Pumpkin Mix Batts….British Shetland, Merino and Nylon. They are different shades of orange and my plan is to ply them together, once the singles are complete but we will see. 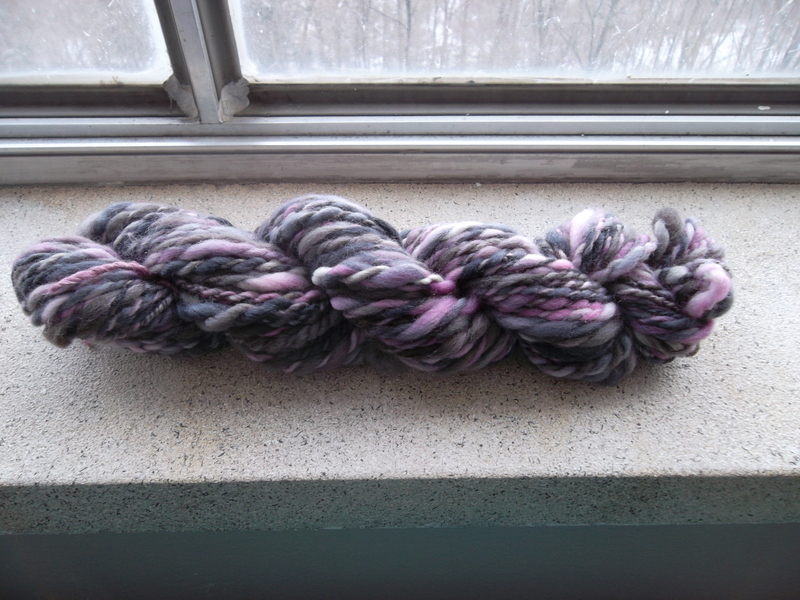 So far, I like the batts – they seem easier to handle than the braids, possibly because they start out less “compacted”. Thank you! 🙂 I wasn’t too sure…but I thought if I got so many more yards out of the same weight braid, there was a good chance I was improving! And good for you with the spindle…I need to go back and finish the braid of Two If By Hand that’s half done on my Houndesign.